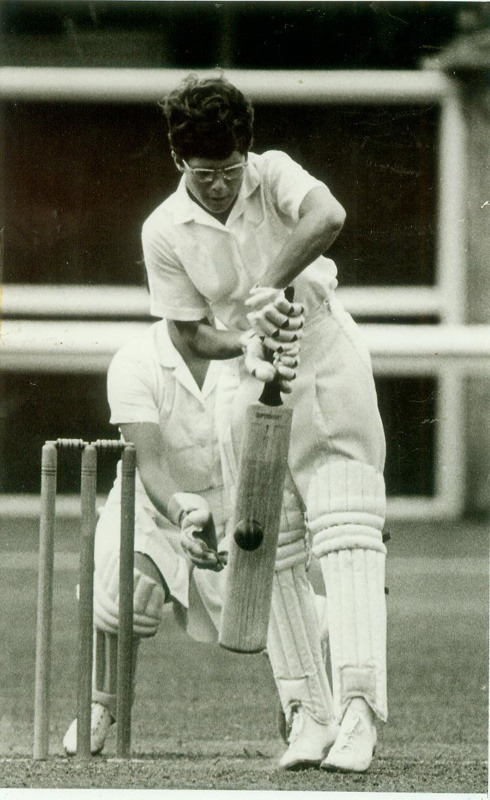 About this objectTrish McKelvey playing a defensive shot, New Zealand against England at the Basin Reserve, 1969. The match was drawn, but Trish made a superb 155 not out in the first innings. Inscription and Marks1969 NZ v England Basin Reserve.